You are here: Home / Complex UK Feed in Tariff, simplified? Which Feed in tariff is yours? The amount of changes that the government has made to the UK feed in tariff for renewable energy is making it quite difficult to summarise in one place – there are now 3 levels or tariff just for Solar PV Panels for example: Higher, Medium & lower. The grading applies to the generation tariff, not the export tariff, but it does appear to inherently differentiate between domestic & commercial levels of solar panels installations –this is demonstrated by the middle or medium rate that applies to ownership of multiple solar PV installations of up to 25 systems. Lower rates & higher rate eligibility is dependent upon the overall energy efficiency of the property, as to get the full or higher rate the property must have an EPC (energy performance certificate) that is banded D or higher. 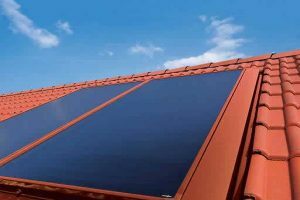 Solar Thermal panels can be installed on a property roof and are best suited to provide an additional supply of hot water. Solar thermal collectors are known to be an efficient method to utilise the energy generated by sunlight. They are also likely to be eligible to benefit from the Renewable Heat Incentive or RHI. This is a series of payments similar to the Feed in Tariff for Solar PV, at a fixed rate over 7 years.